I currently run a Plesk VPS, with 2 Domains hosted within. Some time ago, I had installed the 'Let's Encrypt' SSL Certificate onto my Plesk VPS. Both domains, successfully displayed the 'https' prefix within the domain and I was able to use the emails with no problems, within Outlook 2016. Recently, I have started to receive the following 'Internet Security Warning' whenever I try to add new emails into Outlook 2016. I have spoken with Plesk, my hosting company. 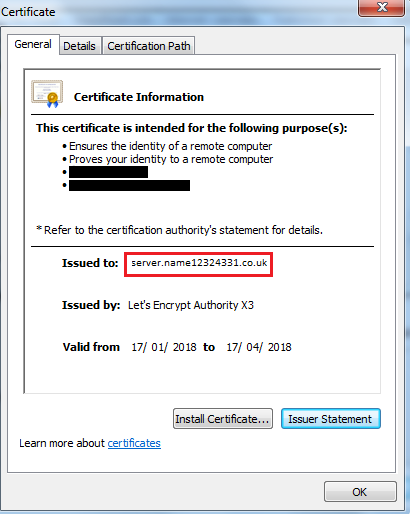 Microsoft and Let's Encrypt, with all parties stating differing errors, explaining I need to speak with the other party. Is anyone able to point me in a possible direction, as to resolve this issue? I have managed to resolve the issue. 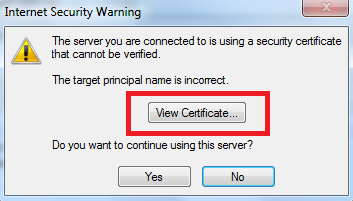 When you first see the 'Internet Security Warning', select 'View Certificate'. What you then need to do, is identify who the Certificate has been issued to. Refer to the below image, for where to find this information. Once you have identified the location, copy the entry exactly as is. 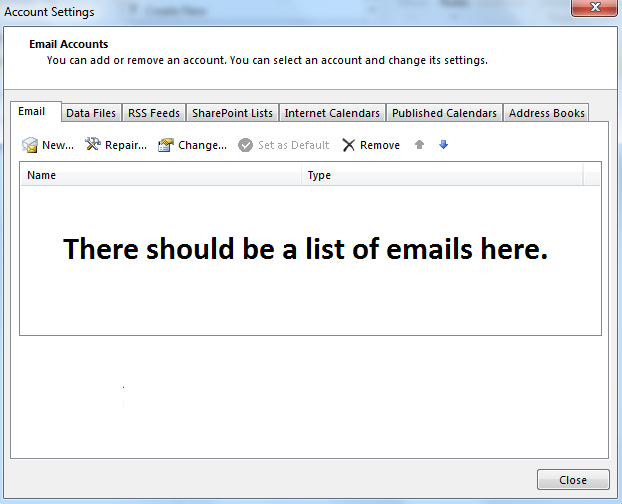 Simply select one of your emails by double clicking on the relevant account. 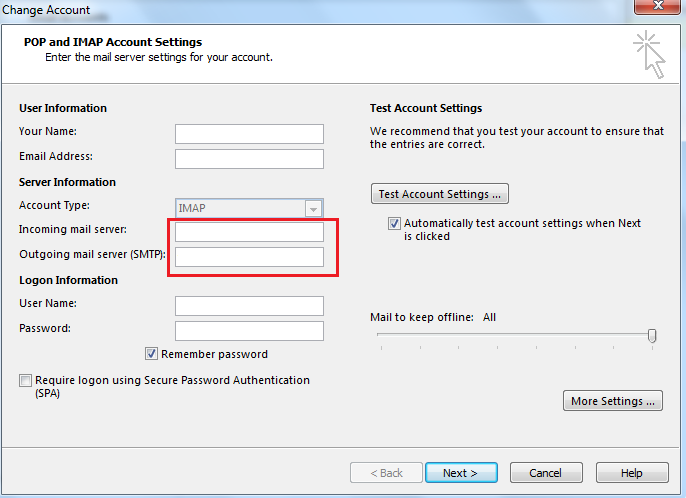 Referring to Step Two, simply paste in the 'Issued to' information into the Incoming mail server and Outgoing mail server(SMTP) text boxes, as highlighted in the below image. All that is left to do now, is to click 'Next' and continue as you would normally. Then repeat the process for the other emails. Where I was going wrong, was that I had mail.domain.com entered into the Incoming and Outgoing server text boxes. 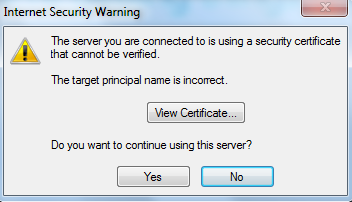 This was ok for a while, since I hadn't installed an SSL Certificate onto my server but now that I have an SSL Certificate, I needed to change my entries, to reflect the name of my server, which the SSL Certificate was installed on. Not the answer you're looking for? Browse other questions tagged email security-certificate vps lets-encrypt or ask your own question.